Anything can happen in the Battle Batcave! It's here that Batman and his fellow Justice League members train for battle and face-off against their biggest nemeses. With awesome spinning and bumper-crashing actions, the Batcave is the perfect setting for your young super hero to wage epic battles with their favorite character. 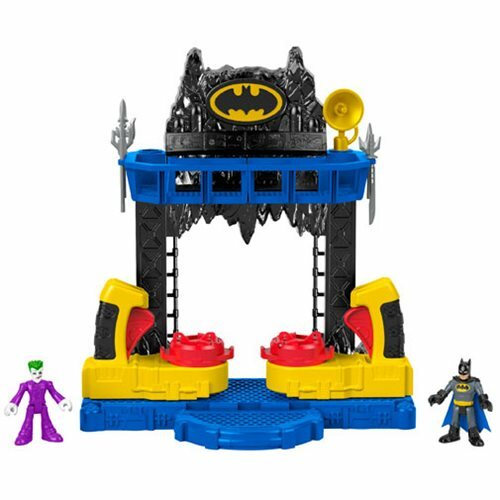 Get ready for play with this DC Super Friends Imaginext Battle Batcave Playset!